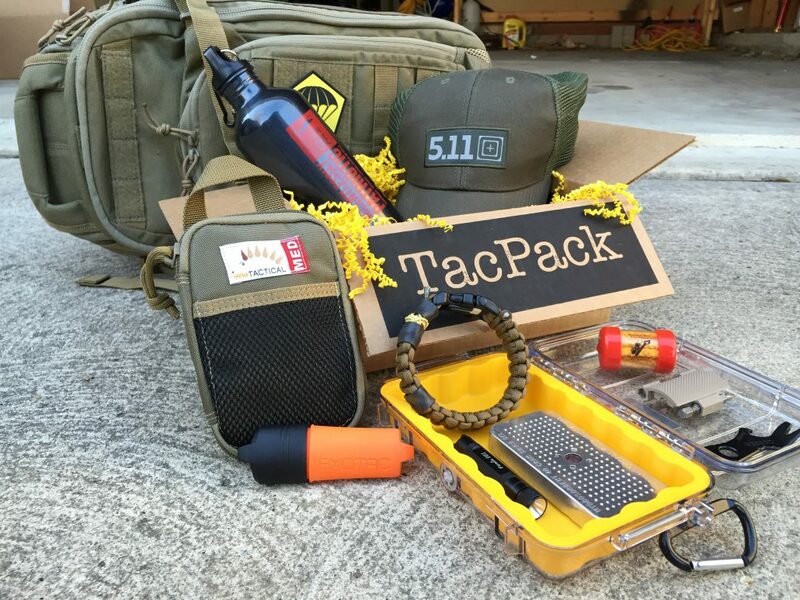 Bringing the fun back to mail deliveries, TacPack outfits gun guys and gals with tactical, EDC and survival gear monthly through a convenient subscription based service. Products are chosen based on the kinds of deals TacPack is able to strike with suppliers, but the company says each box is created to be functional and fun for TacPack subscribers. In addition to the monthly boxes, TacPack also offers a Mega TacPack — a limited time offer, retailing for $100, packed with surplus goods from past boxes. For consumers on a budget, the company also brings a $30 surprise pack to the mix with the Grab Bag. The Grab Bag also benefits from surplus gear with items inside sporting an MSRP of around $60. Brayer says the idea to provide a mix of unique yet professional-grade gear sprang to life while he and friends were discussing gifts. After a lively conversation regarding their wives’ gift giving skills, or lack thereof, the guys agreed that it would be fun to receive monthly gifts catering to their interests; thus, TacPack was born. After the initial idea, it took two months and “a dozen meetings” to get TacPack on its feet. Since then it’s been a popular stop for consumers who enjoy the subscription box service with a survival edge. Part of TacPack’s success, aside from useful products in its boxes, comes down to its unrelenting commitment to quality customer service. The team at TacPack is dedicated to ensuring that its customers are happy month after month. 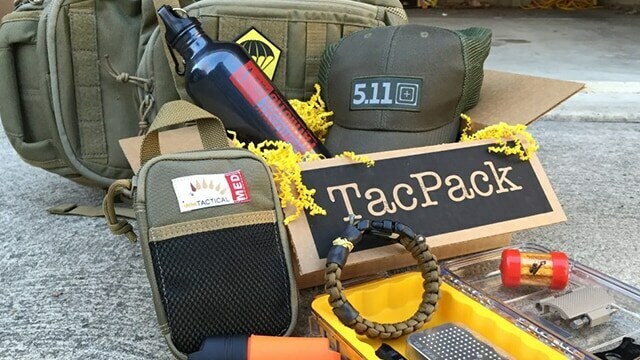 TacPack is in it for the long haul, looking to the future as an opportunity to further develop its brand through videos, social media and Second Amendment events. The company also taken strides to include its own gear in the TacPack boxes. 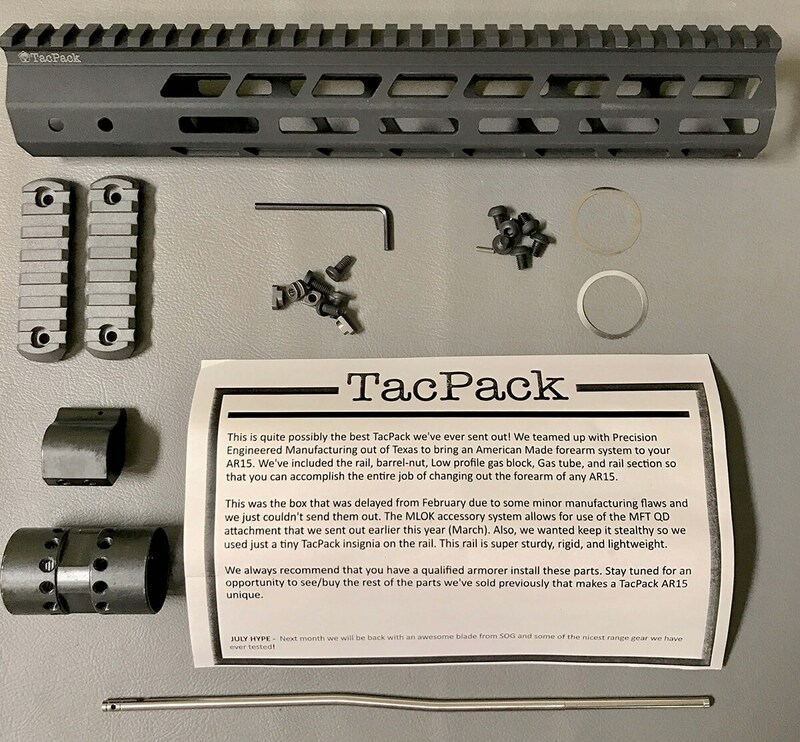 TacPack took a huge step, manufacturing its own custom extruded aluminum M-LOK rail and shipping it to its customers in June 2018. 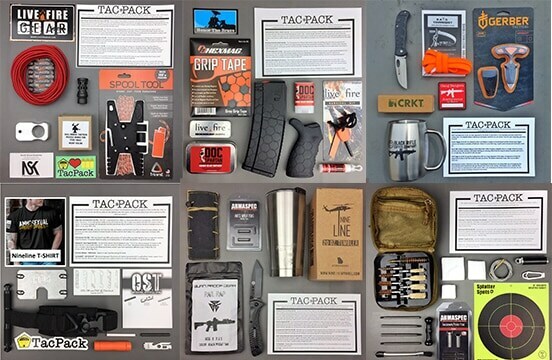 With just a couple of years under its belt, TacPack has worked tirelessly to bring both quality products and customer service to the tactical industry — making each month feel like Christmas for gun and survival enthusiasts.